If there is one thing that is Education Policy in New York City, it's changing grades. Think about it. When the NYC DOE bases your job as Principal on making a "good show" to the general public, to let Chancellor Carmen Farina shine, and the "good show" requires 'improvement' of the students/teachers with no discipline problems and all the little angels doing well, what do you do? Yep, you fudge. Perfection is the standard, and how you get there does not matter. The process means nothing to the rulers of the island (have you read Lord of the Flies recently?) and there is no accountability to anyone for your actions, so you do what you have to do. I'll keep writing, dont worry. They came after me already, but now I have my bow and arrows ready to go. I didnt then. Cheating is in the lesson plan at a Brooklyn high school where grade fixing is so blatant even intellectually disabled students pass rigorous state tests, faculty members charge. At Urban Action Academy in Canarsie, an 18-year-old girl with the reading skills of a kindergartner had a passing grade of 65 on the Regents US history exam, a whistleblower told The Post. The girl scored a 73 on the algebra exam, despite calculation skills at the level of a second-grader. Teachers suspect the student’s tests were taken by an educational aide. Urban Action Academy administrators promote a cheating culture, staffers say. When the Regents Global History exam was given at the school on June 14, students stashed review materials in toilet stalls so they could sneak information during bathroom breaks. Alert teachers tried to thwart the cheating. But Assistant Principal Jordan Barnett slammed their “discriminatory” treatment of students and ordered them to back off, teachers say. Barnett suggested the teachers themselves would not have gotten anywhere if they didn’t cheat in school. “You did that when you were young. We need to stop sabotaging our students and sabotaging our school,” one quoted Barnett as saying. Others confirmed the remarks. 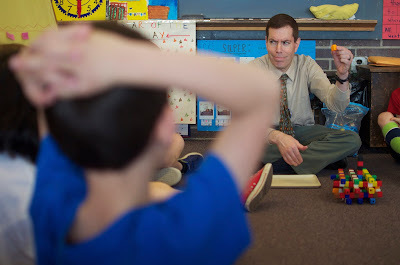 Principal Steve Dorcely, who has no teaching experience except as a substitute, pressures faculty and aides to “do whatever you can” to pass students, staffers said. “It’s all done to boost the numbers and make him look good,” one said. The 293-student Urban Action Academy posted a 61 percent graduation rate last year. But only 5 percent of its graduates were deemed college-ready. Truant students slide, said a person familiar with the records. 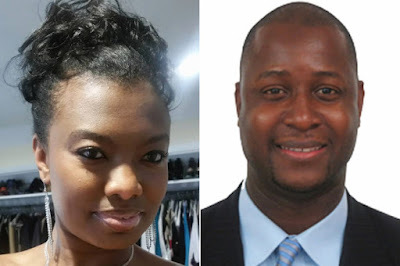 Last Monday, The Post reported that Urban Action administrators also did nothing when teacher Angela Costa found students hacked her Facebook account and spread copies of intimate comments to her boyfriend. Teachers are now calling for a probe of the school’s tests and grades. During Regents week, Barnett summoned staff to a meeting and ordered them not to check rest rooms during the exams. “We cannot treat students like criminals,” she said, adding that teachers unwilling to “work with this demographic” should leave the school. The student body is 81 percent black and 11 percent Hispanic. Other teachers said kids shared calculators during the Algebra Regents exam, which is forbidden because students can copy answers. Teachers said they warned Dorcely of a severe calculator shortage months earlier after many were reported stolen. “This is educational malpractice at its worst — and a parallel to what happened in Atlanta,” a veteran educator said, citing the Georgia scandal that spurred criminal charges against cheating principals and teachers. Dorcely did not return calls seeking comment. He and Barnett were absent on Friday. The DOE said the allegations were sent to the Special Commissioner of Investigation for city schools. “There is zero tolerance for violations of academic integrity,” said spokeswoman Devora Kaye. Another great teacher bites the dust. If you're lucky, then at least once you have a teacher who makes all the difference. My firstborn — who's now on his way to grad school — lucked out when he was 6, with Mr. Weinstein. 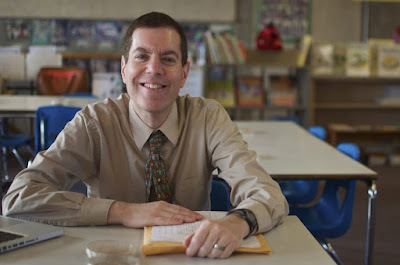 David Weinstein has taught first grade at the Pierce School in Brookline for 29 years. He's gifted, dedicated and beloved — so I was stunned to find out that he is retiring, early. In his early 50s, he's leaving as the Brookline schools are immersed in contentious contract negotiations, largely about the data and documentation workload for teachers. This isn’t just a Brookline issue -- it’s part of the national story of education reform. Weinstein says it’s the main reason he’s stepping down. Even in a progressive town with an acclaimed public school system, he says, the paperwork is overwhelming. And this is not a guy with an aversion to detail. For instance: Every year, since 1987, he has mailed a birthday card with a personal note to every student he's ever taught. Weinstein's last day as a teacher in Brookline is Monday, June 20. As the day neared, he paused to reflect. Here's a condensed and edited version of what he said. It's something I’ve been thinking about for a long time now, just in terms of how the profession has changed and what we’re asking of kids. It's a much more pressure-packed kind of job than it used to be. And it's challenging. The pace is intense and I feel for kids, because they're rushed. They're constantly being rushed. You only get to be a child once. And you don't get to enjoy childhood when you're constantly being rushed from this place to that place to this, and being assessed in this way. There's a lot more data collection than we used to do. Data collection is important; part of education is assessment. Data collection isn't inherently bad. What becomes problematic is when an outside party is asking you to collect data which isn’t tremendously useful to my tailoring instruction to children. And that — that becomes frustrating to me as an educator, when I’m spending the limited time that I have each day collecting data, as opposed to developing lessons and working with children. There are only so many hours in a day. And I'd rather spend those hours doing something else which I think would be more beneficial to children. All this assessment and all this testing — what I think a better reaction is, is supervision of teachers. You want to have your principal as your instructional leader. You want principals and vice principals and all the administrators to be going into classrooms and to be watching what's going on, on a regular basis. But our administrators are so overwhelmed and overburdened by all the mandates that have come down. Our teacher evaluation system is unbelievable in terms of the amount of work that has to be done -- self-assessments, and reflections, and have meetings, and download evidence, and create goals, and all this paperwork, which is not nearly as valuable as someone coming into your classroom all the time and saying, "I really liked what you were doing here," or "Would you think about doing it this way?" or "What about this?" or "I noticed so-and-so was having a hard time with that." Those discussions, those wonderful rich discussions, that's what moves education forward. There's a lot of looking at standards — that’s the big thing in education — and really with the goal of trying to break education down into bits and pieces, so that we can have a clear understanding of where kids have mastery and where kids don’t have mastery. All these little pieces don’t necessarily add up to a whole. It's hard to say that if you’ve mastered this and this and this, you have an educated person. That I don’t believe. My favorite quote is "Education is not the filling of a pail but the lighting of a fire." That’s what education’s all about. We want to get kids excited about learning. I want kids to leave first grade and want to learn more and be excited about learning and coming to school and discovery. That’s what education is all about. I guess the big-picture problem is that all this stuff we’re talking about here is coming from on top, from above, be it the federal government, the commonwealth of Massachusetts, the school administration. But the voices of teachers are lost. I mean, nobody talks to teachers. Or, if they do talk to teachers, they're not listening to teachers. And that's, I think, the frustration — that this stuff just comes down, and we sit with each other: "Well, who thought of this?" or "Why do they think this is a good idea?" It's kind of like "Why not come and talk with us first?" We actually are professionals who work with kids. We want what's best for kids. We know what works. We know what doesn't work. Education is always changing. What we know about teaching and learning is always changing. But the people making those decisions should be teachers. It should be educators making those decisions, and not politicians, and not people who aren't in schools. Would I be leaving teaching if things were different? Probably not, no, I wouldn't be. You know, honestly? If it wasn't so intense now, all year long, every single day, I would do it for longer. I would. But the reality's a reality. I think what I'll miss the most is having my own group of students. That'll be hard, because that's like — that's one of the things that actually brings tears to my eyes. Because it's, like, every September, I've had this new group of kids to form and to work with. And I won't have that any more. So that's hard. But then I think to myself, "You know what? At some point, you're gonna have to say goodbye." And I think, you know, I've had 29 groups of first-graders. I was lucky enough to get to have these groups of students. They're still around. OK, they're not 6 years old anymore, but that's a good thing — they've moved on. But, you know, that’s hard. And, under different circumstances, would I like to have a few more groups of students? Yeah, I would. But it is what it is. 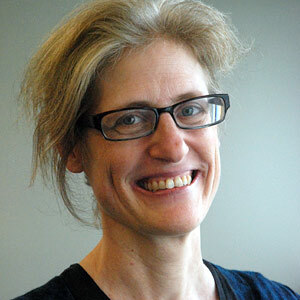 Sharon Brody is the voice of WBUR's weekend mornings. On Saturdays and Sundays, she anchors the news for Weekend Edition and other popular programs.